ALLEGRA BOVERMAN/Staff photo. Gloucester Daily Times. 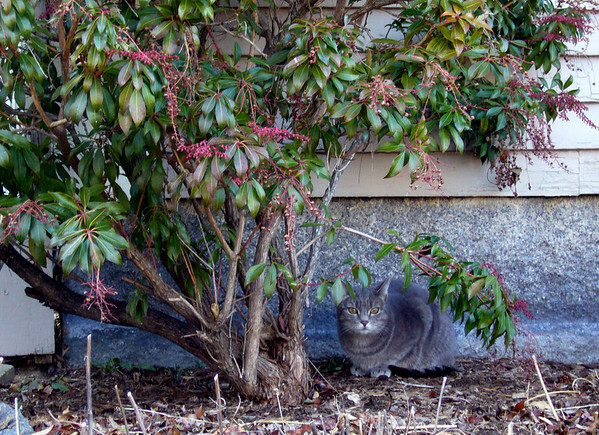 Rockport: A cat almost blends in with its surroundings along King Street in Rockport.